It’s rare to get an invite to an event in Bristol, but when you end up with three within three days, you start to wonder what’s going on! French Connection were holding a style challenge party in most of their stores around the country, so I asked Rose to come with me and try stuff on. 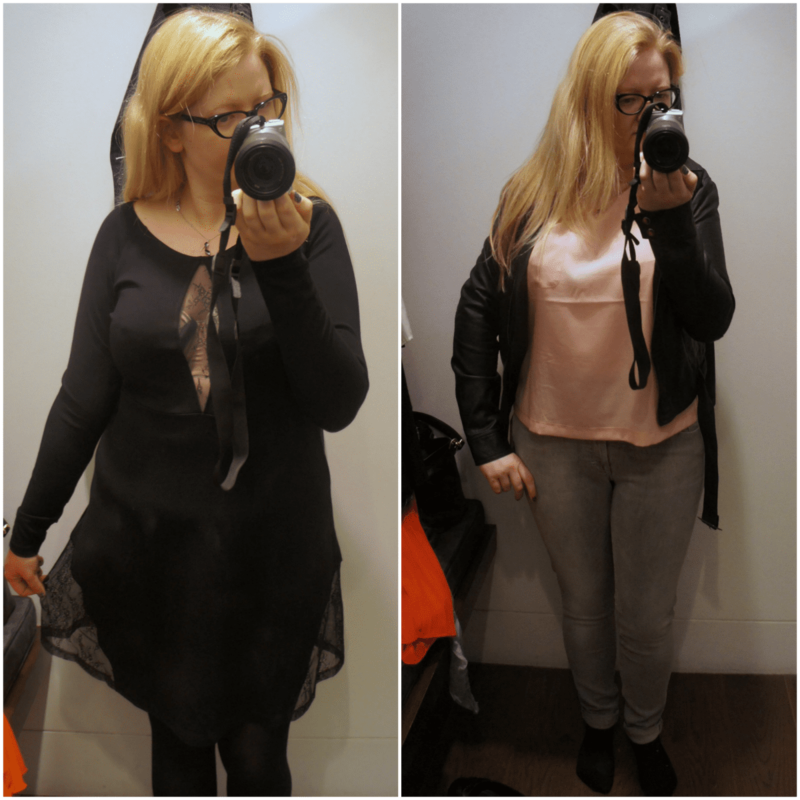 Apologies for the Instagram pictures – I forgot until the last two outfits that I had my proper camera in my bag! Again with the Athena Biker Jacket* (£95) (I love this jacket so much, I thought it was real leather at first!) with the Feline Wonder V-Neck Dress* (£89) – the dress was oddly cut on me, and showed off half my chest more than the other! 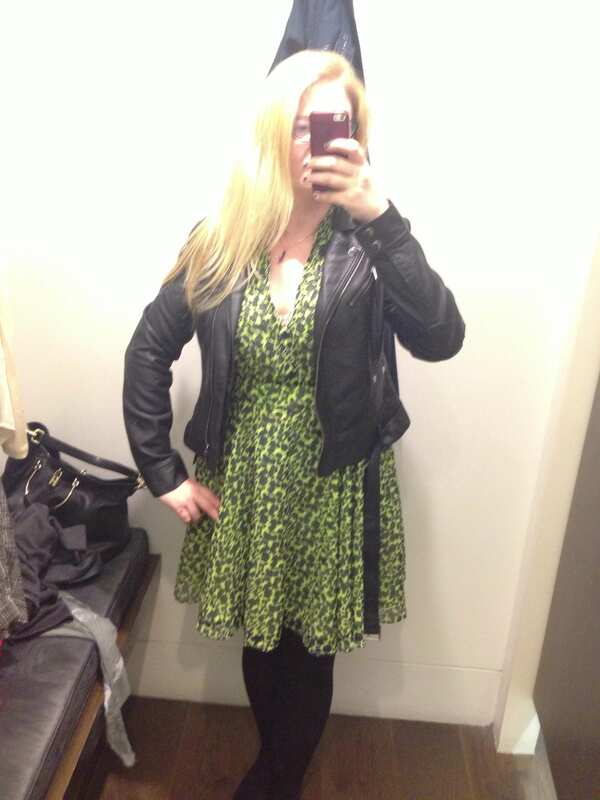 I loved the Hot Lace Flared Dress* (£79) with the panels of mesh, but again, lumps! (Of course, if I were wearing this for a special event, I’d probably choose better pants than the first pair out of the drawer at 6am that morning.) This is a bit of a boring outfit, but you can’t go wrong with a t-shirt and jeans, and the Classic Polly Plains Cap-Sleeved T-Shirt* (£27) with Tiffany Skinny Jeans* (£65) was a comfy choice. 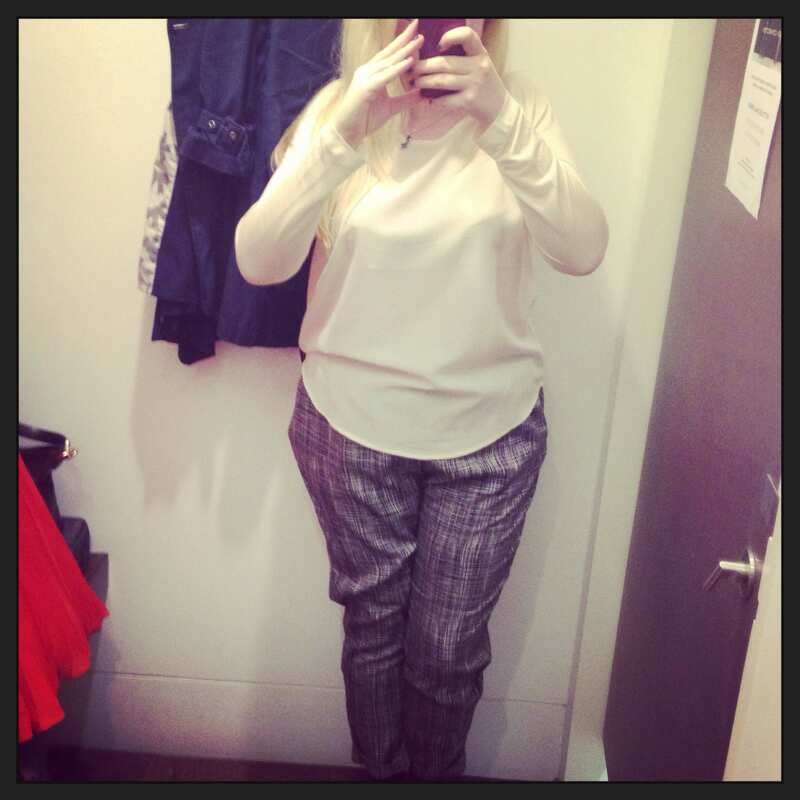 It was so much fun being let loose in store to try anything (and everything!) on without the disapproving looks you get in some stores…and now it’s your turn! 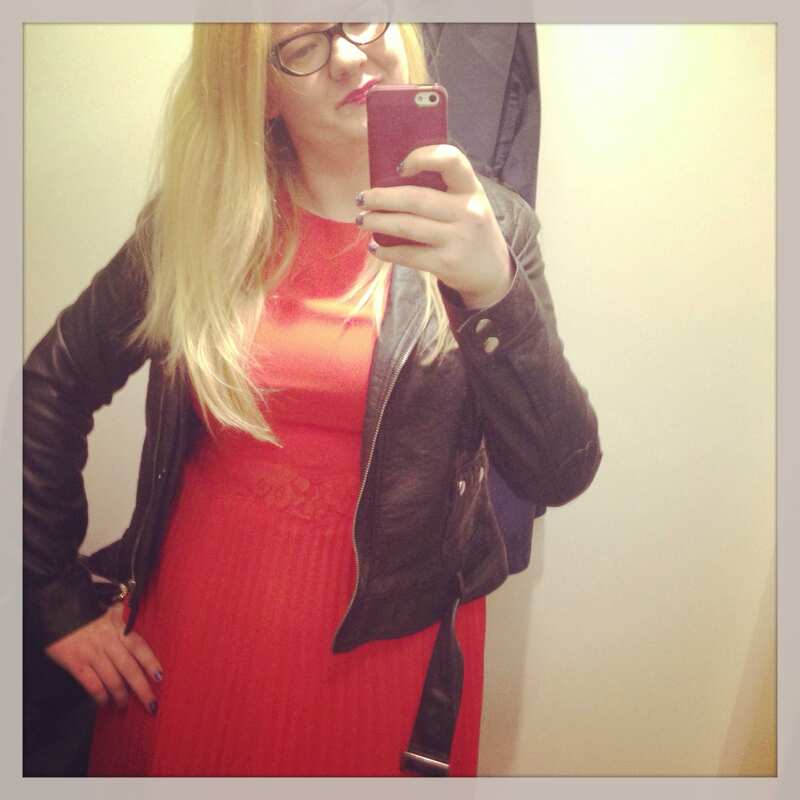 If you fancy winning £100 of French Connection vouchers, just upload your outfit photos to Instagram (or Twitter!) with the hashtag #fcbloggerstyle. Myself and the other bloggers who took part in the style challenge will then get to choose our favourite looks, and if you’re in the top three with the most votes, then you’ll win the vouchers (so you can buy that outfit, perhaps!) – you’ve got to hurry though, as the competition (run by French Connection!) finishes on 15th October. It was awesome to have an event like this so local – I’d love to see more like this from other brands. That biker jacket looks amazing on you!